We’re home again, after travelling westward from Quebec in a snowstorm yesterday, and I think that the whole adventure was a grand success, if you use that metric that I do, which is to say that my legs are not broken, some knitting was accomplished, and I didn’t meet anyone on the ski patrol in a formal sense. Joe and I are still on track to finish getting ready by Friday, if the next few days are magical. I ran an errand or two on the way home from the dentist this morning… and now there’s a little wrapping and baking, and a few things on Joe’s list that I’m trying not to worry about, because it’s Joe’s list. I’m focusing my concern on the fact that my yarn isn’t here yet, but hold out hope for tomorrow. Cross your needles, I’ll be ready for it then. Shall I get start getting caught up again? Minus 20C? It’s not been all that cold here on Lake Ontario. You are much braver than I to 1) learn to ski in middle age, and 2) drive home (presumably on the 401) in a snowstorm. On the subject of moth chasers, for someone in a crafty mood, Custom Woolen Mills in Alberta has instructions on how to make your own sachets, complete with a couple of great recipes for the filling. Highly recommended. The Toolbox Cowl is a lovely thing! That cowl is stunning, and I’m sure the recipient will be appreciative knowing it’s already been rigorously tested for them. Congrats on figuring out skiing too. I bet that toddler thinks you’re the coolest thing on skis. Somehow, I don’t think stories of your skiing prowess and the phrase “no survivors” belong in the same blog post…;-)! A little PSA on cloth/wool moths: [My street cred: urban and structural entomology at the U of Minnesota is how I now make my living]. The pheromone traps like those you suggest are for detecting/trapping the adult stages (which do not actually eat the wool). By the time you see flying adults, there may already be an infestation of the larvae that will happily feast on fiber of all kinds. Local university extension services will have information on how to control infestations, with or without use of pesticides. A general rule of thumb is freezing at 0 °F (-18 °C) for 7 days will kill adults, eggs, and larvae. After that, keeping things tightly sealed should prevent re-infestation. Any new fiber/fleece that is suspect can be frozen to prevent an outbreak. Also note that these moths will also survive on pet hair that accumulates in out-of-the way places. As a cat owner, this frustrates me to no end. Given the description, the kits look like lures/sticky traps. No pesticides are included (or they would have to put that on the label for download). However, we always stress pre- and post-control monitoring, so kits like that would be useful. I love your definition of a successful skiing foray, and am impressed with you for meeting it this early in your skiing career. And I notice how cleverly you’ve hidden all evidence of testing out the cowl. Is that you, standing saucily at the top of the mountain? Looking very smug even though it’s a shot from behind? Good on ya! That’s Joe! I don’t stand saucily anywhere. Wait a minute! Can we get Joe’s opinion on how saucily you stand? Broken spirit calls for a yarn-based splint. Well done you for going prepared! Tool Box Cowl may need to be pulled out again tomorrow, given the long range forecast! So happy you are in intact. Keep at it, each day of skiing will be an improvement, just like learning how to knit was. And I hope you know the value of hand warmers in your mittens! Those chemical packages are amazing. I’m amazed at your skiing, however new it may be. My 3rd or 4th face plant into the snow was enough to decide that skiing and I were not buds. 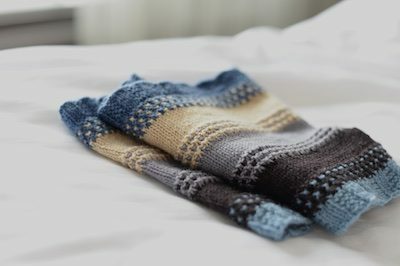 The cowl and socks are lovely….crossing fingers the new yarn arrives soon. Be warm. Having torn up a knee at Taos on the poma lift of Idiotenhugel (which means what you think it means), I bow to your superior skiing survival skills. As for that cowl, how I wish I were on your Christmas list — it’s very covet-able. I’m supposed to touch the tree. I’m very glad you DIDN’T! I saw pictures of that storm, and remember playing “guess where the road is” myself. Always interesting. Congrats to you on the toddler squashing avoidance. It’s always nice to hone such skills 🙂 Looking forward to learning to cross country ski here, where the biggest elevation change will be a mild incline. Kudos to you for hurling yourself down a mountain!! I am glad you made it home safe, especially given the shots of the road you posted on your way home. It would have been a real shame to have made it through skiing with all your limbs intact only to end up in a ditch! Le Massif? 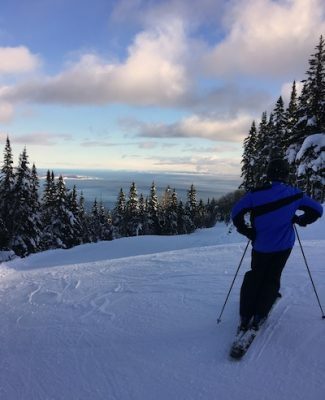 Or Mont Sainte-Anne? 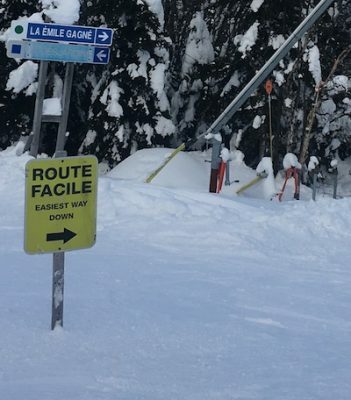 My money’s on Le Massif…glorious feeling skiing “into the river”. Glad you made it home safe as it was quite a snowfall we had that day!! As for flashes of wee dark things, I have been skiing for 55 years and *still* run over them and trash the skis or do face plants. The trick is to do them with great flair and have snow flying everywhere!! I am so impressed! I speak from experience in saying it is extremely difficult to learn to ski as an adult (or for some 6-year-olds). Plus, you were without a doubt the best accessorized person on the slopes. Oh my gosh the views! So gorgeous. Love the cowl! I’ve just discovered your blog and am busy working my way through all your posts in chronological order (well, sort of. I’m too random to do anything chronologically). Got several of your books out of the library too. 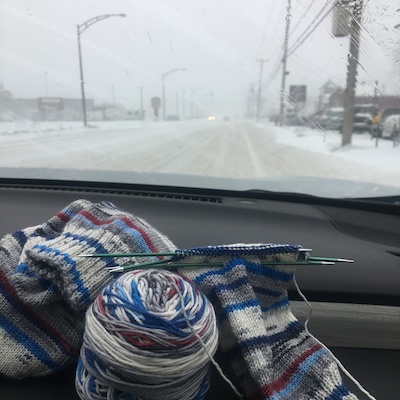 This is what happens when a knitter can stop working – time to read and knit, at least in the winter. The garden will fully take over in the summer. The knitting thing is fast becoming my second obsession (er, passion). Just discovered the Woodstock Fleece Festival too. A whole new world is opening up. Too exciting. 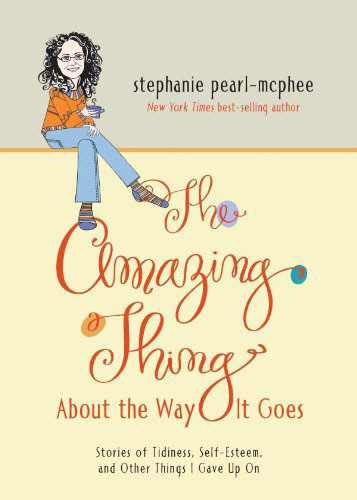 I almost envy you with all the blog to read! Doesn’t help the knitting time though … Enjoy!! 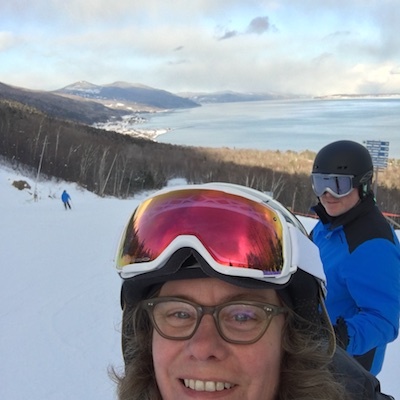 I too learned to downhill ski in middle age. I too was a menace to youngsters, a faller-off of lifts, and an unreliable turner in either direction. Face plants, yup. Not as much fun at 45 as they seem to be at 5. Now I stick to the flats, sedately cross-country skiing around the field, and around and around, depending on how ambitious I’m feeling. You are an incredibly good sport, not merely for agreeing to go on this trip but for doing so WITH ONLY A COUPLE OF SHORT WEEKS TO GO BEFORE CHRISTMAS! Outstanding. I am terrified of skiing. The last time I went I heard a ski instructor reassure a scared 6 year old that “it really isn’t dangerous” JUST before I literally flipped over the toes of my skis and landed on my back. I don’t know how I managed it but all I could do was to think that I’d probably scarred the child for life. and also on my back! Also, I don’t know if it offers any consolation, but I started skiing at age 3 and I regularly fall down while skiing still. Sometimes you just can’t process the situation fast enough! Your enthusiasm about skiing really shines through, here! I have decided that my idea of a winter sport is a glass of wine by the fire, knitting close at, if not in, hand. this rushing down the hill out of control on ski’s is NOT for me. and now I must stop reading your blog and go finish knitting a giraffe as a gift for a grandson. Hey Yarn Harlot! Thanks so much for the mention – I really appreciate it. You drove a lot of traffic to my Etsy shop yesterday and I had several sales of my moth blocks. I was delighted! Merry Christmas to you and yours, and thanks again for the support.